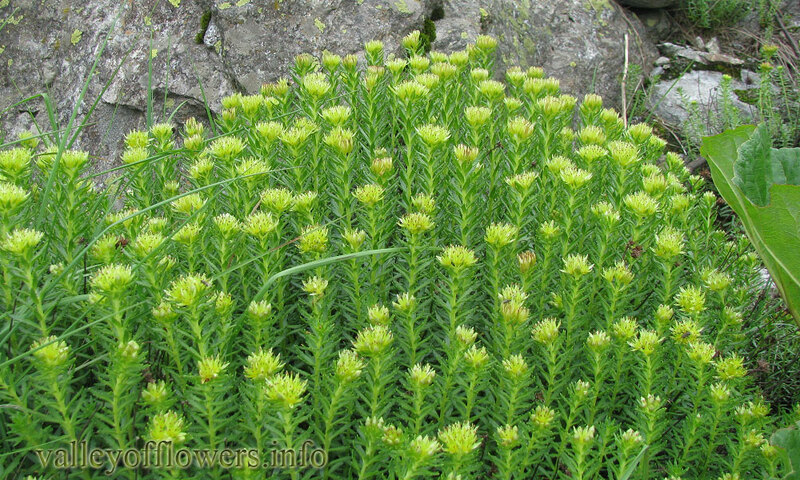 Rhodiola imbricata is a perennial and dioecious herb of 25 to 30 cm height. Root stocks are aromatic having a scent of similar to rose flowers. Flowering stems 3 to 6 on each rhizome. Flowers are yellow, unisexual and arranged in a compact terminal cymes. The specific name Imbricata means Over lapping, referring to arrangement of leaves on the stem. In meadows, rock crevices and grassy slopes. 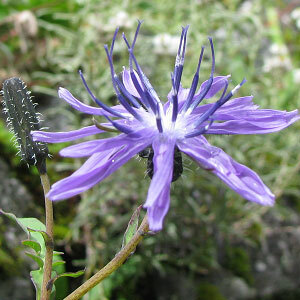 It is mainly found at Hemkund Sahib. It can also be found in deeper parts of the Valley of Flowers. 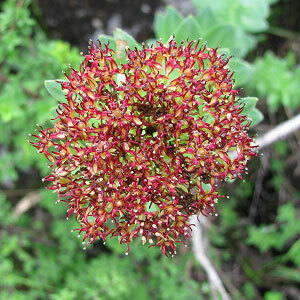 Following are some of the pictures of the Rhodiola imbricata,hope you will like them all. If yes do not forget to comment or share with your friends. Rhododendron lepidotum is an aromatic, resinous and growing shrublet of height 1.5 to 2 m. Branches are rough covered with lepidote scales all over. Leaves are narrowly oblanceolate covered with brownish scales on both surfaces. Petiole is short. Flowers are pink or purple in color. Can be found solitary or in clusters.The specific name lepidotum refers to scales are present in the plant. 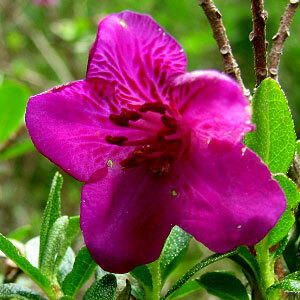 This flower is a near threatened species.